Phoenix Dan Cong Mi Lan Xiang Tea is also named as Honey Orchid. It is produced in the Wudong Mountain of Phoenix Town, Chaozhou. 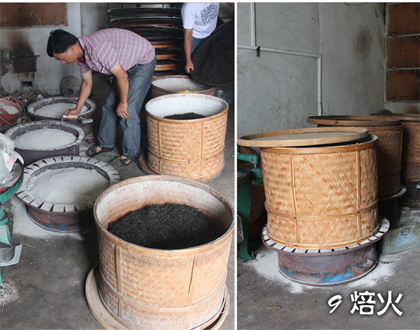 It is made by the tea leaves from a subspecies of Shui Xian – Mi Lan Xiang. The Mi Lan Xiang teas gives a charming honey, and a hint of natural orchid flower fragrance. So it has been named Mi Lan Xiang as Mi Lan Xiang is the Chinese name for honey orchid. The Wudong Mountain is a mountain mainly composed by big rocks and the soil is rich in minerals. The sea level of its peak is 1360m. 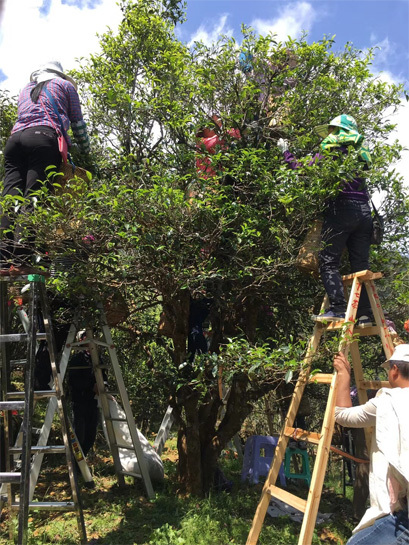 It is a very ideal place to plant good quality tea. And people here had been planting tea since Song Dynasty. This area is known for its excellent tea cultivars, and the tea processing art is very advanced here. 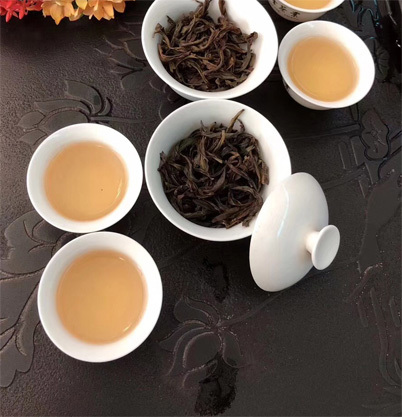 Just as the requirement of oolong tea fresh material, the Mi Lan Xiang is made by growing tea leaves, which are plucked in the beginning of April. Generally, it is made by one bud three leaves to four leaves. And the leaves are kept outside for withering under the evening Sun for a short while. Then they are sent indoor for further withering for a few hours. The processing starts as night. After that it is subject to shaking and colliding (做青), and then put for fermentation for a while. These two steps will recycle and repeat for five times, lasting overnight. The next morning it is fried to stop fermentation, and rolling to make the tea body. The final step is roasting. 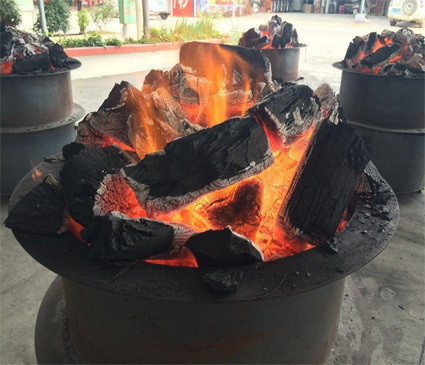 The traditional roasting is made by charcoal heat. And the roasting will repeat for three times, lasting a period of two or three months. 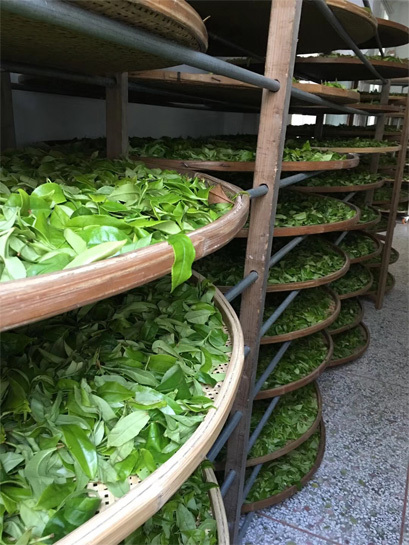 The overall processing of Mi Lan Xiang oolong tea is very similar to Wuyi Da Hong Pao. Da Hong Pao roasting is heavier than Mi Lan Xiang though. Drinking Mi Lan Xiang Tea has a lot of health benefits. It can help digest, meanwhile make body keep fit, supply anti-oxidants and anti-aging, lower blood cholesterol and blood pressure. It can also protect teeth and eliminate mouth odour. It is a very healthy drink, and it is good taste that you will easily start to be addicted to it! How Does It Taste: It has fascinating honey orchid flavor either on the dry leaf or brewing. The taste is clean mellow brisk and has full-bodied sweet aftertaste. 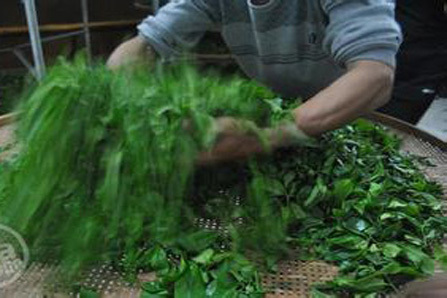 Step 3: Infuse – To make the best cup of Mi Lan Xiang Tea, it is advisable to keep the steeping time of 20 seconds. You can again re steep many times. Step 4: Gradually increase steeping time and temperature for subsequent brewing.